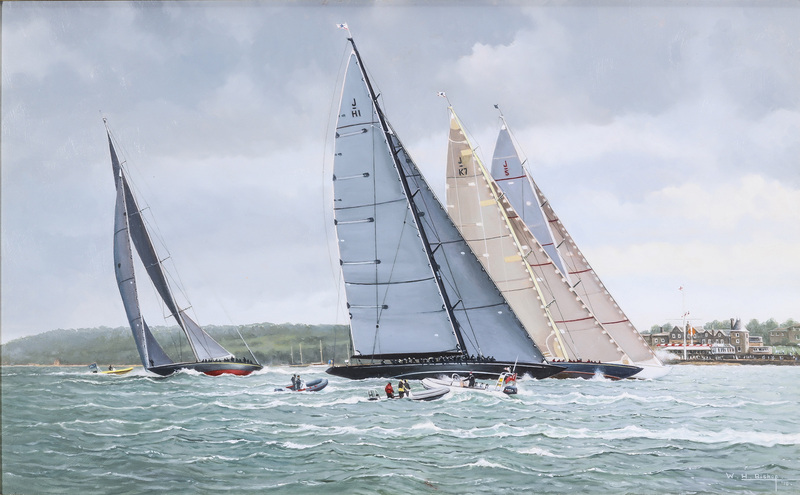 Three of the four J’s have hit the start line perfectly as the smoke from the gun in front of the Royal Yacht Squadron blows away. One has misjudged it! Perhaps a bit of artists licence! All four were close together and continually cross tacking later on in the beat to the windward mark. For sale, fully framed, with gold nameplate.